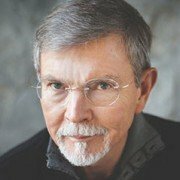 Years ago I set up a foundation to help fund ministry efforts around the world. The people and organizations below represent high-impact ventures to spread the gospel in creative, effective ways. With most of these ventures, I invest my time and apostolic gifts as well as financial resources. If you would like to contribute to these efforts, click the donation link or contact me to volunteer. God is changing the world through kingdom minded professionals and He is reaching the nations through business. Many are struggling to understand and serve the unique needs of these overseas believing business people for Jesus. 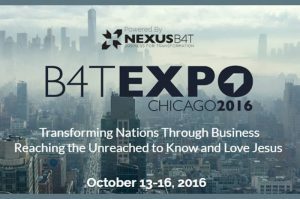 NexusB4T was founded from this need to train, equip, and mobilize the body of Christ into what God is doing in the nations through business. With experienced leaders, NexusB4T serves churches and individuals, by providing the mentoring, training and equipping they need to reach the unreached. NexusB4T is a consulting 501c3 agency who works with local churches to focus on the spiritual and profitable bottom lines of doing real business that transforms real lives. 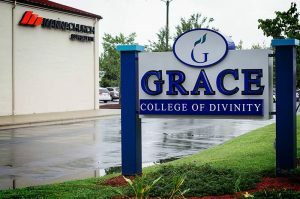 Grace College of Divinity is a higher education institution dedicated to Preparing Emerging Leaders to Change the World by advancing the Kingdom of God through sound biblical training, practical ministry and personal development. I planted the seeds for this vision back in 1980 by starting Manna College, which later morphed into Grace Leadership Institute (1990), and eventually into its present form as GCD in 2000. The mission has remained the same, and I continue to teach periodically in the areas of my passion and experience…most recently a class called “Changing The Culture Through Disciple Making and Mentoring,” which is being published as Doing Life With. 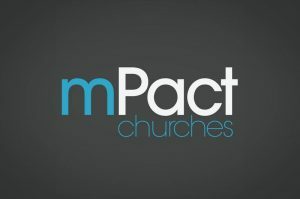 mPact is a network of churches committed to advancing the kingdom of God across three spheres: local city outreach, regional church-planting, and global mission sending. This venture, now capably led by Michael Fletcher is the current generation of pastoral equipping I began back in 1990 by pulling regional pastors together for monthly gatherings of encouragement and strategic thinking. Originally called Grace Presbytery, this network has grown and developed to resource hundreds of domestic and overseas leaders. 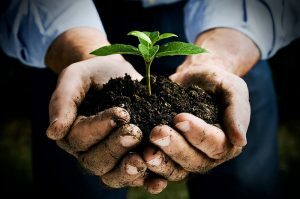 Making disciples and planting a church is like cultivating an orchard. I love this process as its right at the heart of God. The beauty is that His fruit just produces crop after crop of amazing men and women who impact their world. I am mentoring an amazing church plant outside Atlanta, Discipleship International, which is targeting immigrants as one third of everyone in the county is foreign born! It is our privilege to welcome, assist, love and serve those so new to America. Hilltop Church is located right on the campus of Appalachian State University where we are reaching the next generation of future leaders who will impact their world. I am the on site coach and mentor but not the pastor. Contact me or donate at the link below to volunteer or contribute to the successful propagation of churches worldwide.